The minimalist Cruze concealed thermostatic shower valve with round back plate offers thermostatic showering with two easy to operate controls, one operates flow control whilst the other allows temperature selection. To be used with a fixed head or slide rail kit, this valve has the added safety benefit of a built in anti-scald device should the cold water supply fail. 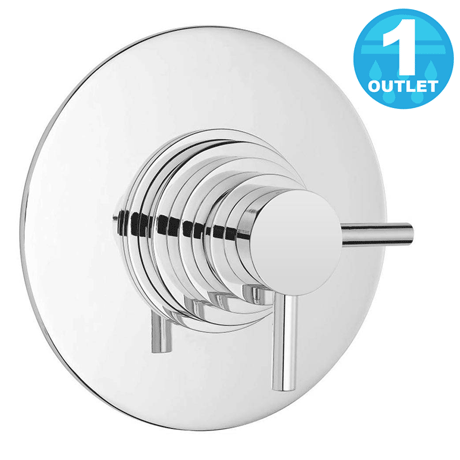 The Cruze dual concealed thermostatic shower valve adds a touch of sophistication and style in any bathroom. The valve can be installed either concealed or exposed. Looks good & works...I did not fit it.